Eco-friendly renewable energy, local generation for local consumption, and building robust infrastructure that can withstand natural disasters… these are just some of the crucial topics which require innovation not only in terms of hardware but also in terms of the software related to the process and supply planning from generation to consumption. Chaintope has been conducting research and development in order to apply public blockchain technologies (such as Bitcoin and Ethereum) to the energy sector to drive improvement from software perspective. At the same time, we have been developing Electrowise, a platform for bringing innovation to the energy industry. 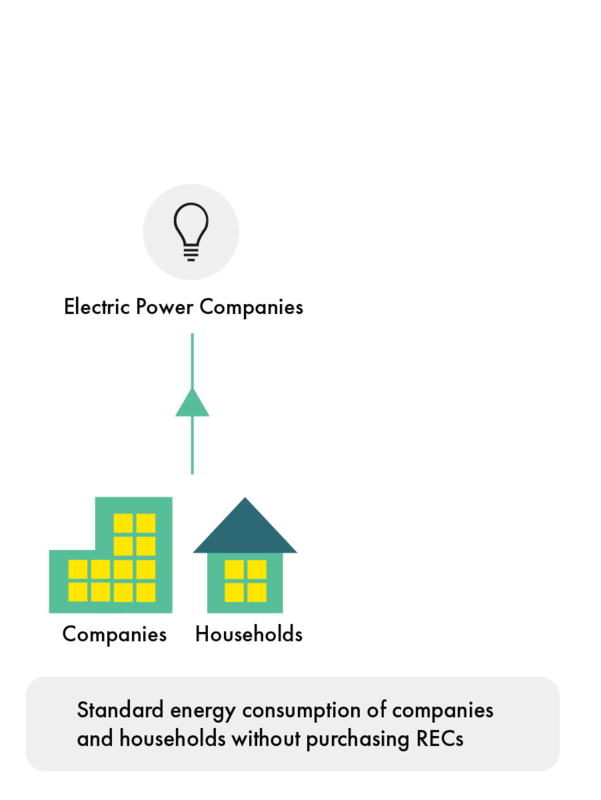 Electrowise provides solutions in the energy sector, by offering a marketplace where people can utilize the existing national grid to buy and sell electricity on the platform. 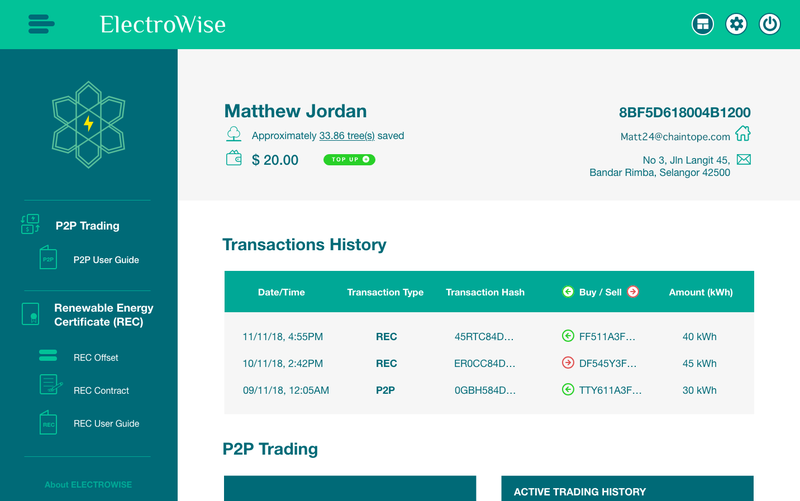 With Electrowise, even average households will be able to become electricity traders. 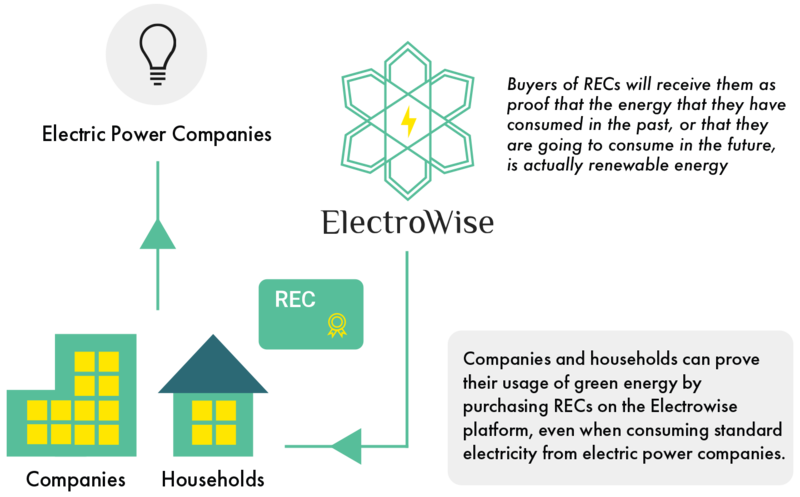 Moreover, Electrowise offers a marketplace where companies which promote green energy (such as RE100 companies) can purchase renewable energy certificates (RECs) via the platform. This contributes to the promotion of eco-friendly renewable energy in the market. Offering a marketplace for buyers and sellers to trade energy, and by doing so, helping contribute towards local generation for local consumption. Ultimately, this will optimize energy supply and demand and reduce costs for societies. Through tokenization, one of the key features of blockchain, Electrowise will contribute to the restructuring of value chains in the energy industry.  →Eco-friendly, renewable energy will spread rapidly and become mainstream. →Energy generation is becoming more distributed due to the increasing popularity of generation methods such as solar power. Local generation for local consumption will become the future of energy industry. →The trend of worldwide liberalization in the energy sector will allow the people who can generate power to diversify (distributed energy). Many of these people. including individual households will be able to sell electricity, and play an important role in underpinning social infrastructure. Various kinds of data, such as the data for energy generation and consumption can be obtained from smart meters and tokenized. The transaction and exchange of tokens is conducted and recorded on the Blockchain. Due to complicated procedures, there are currently issues with the time taken to issue RECs. However, the application procedure and transaction process could be greatly simplified by tokenizing RECs. 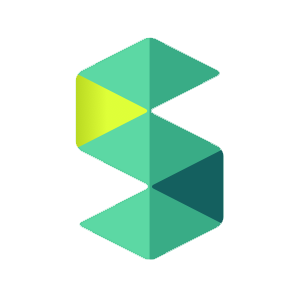 Moreover, by tokenizing assets such as energy and certificates, transactions can be conducted smoothly and more efficiently with lower managerial costs. Even more importantly, this will help contribute to the restructuring of value chains in energy sector. 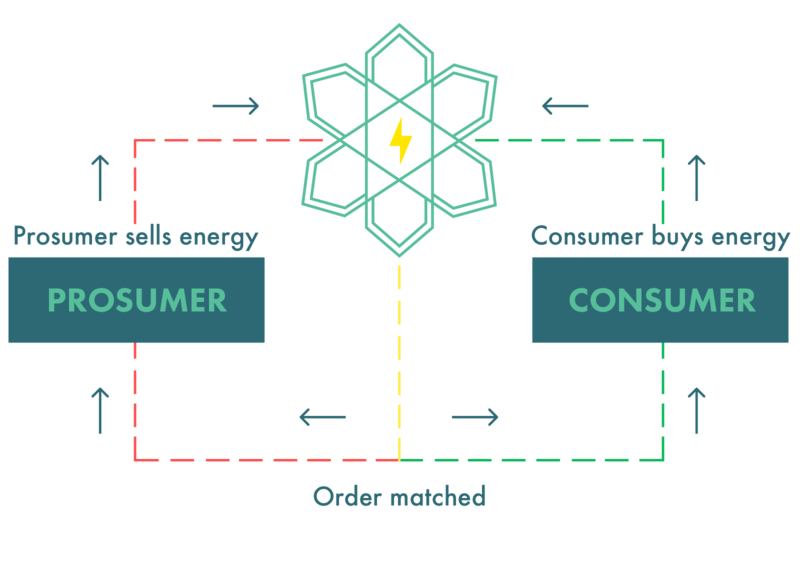 The Electrowise platform will offer a marketplace where multiple buyers and sellers can trade electricity. Buyers would be able to decide the best timing to purchase electricity based on the supply and demand of energy. Moreover, buyers can select the time of consumption and amount of electricity, to make deals with sellers in advance. This will fix the payment for future energy consumption. 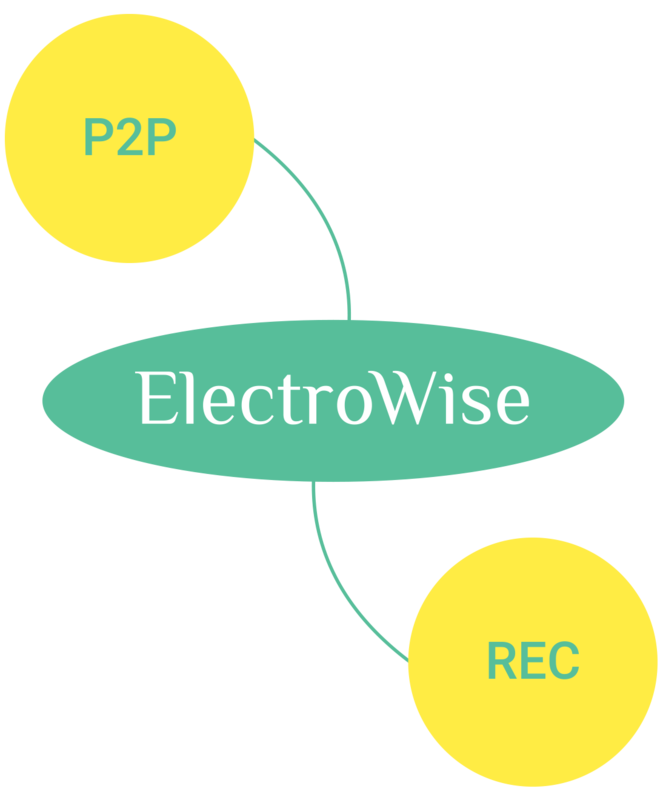 The Electrowise platform will offer a marketplace where sellers and buyers can trade RECs. 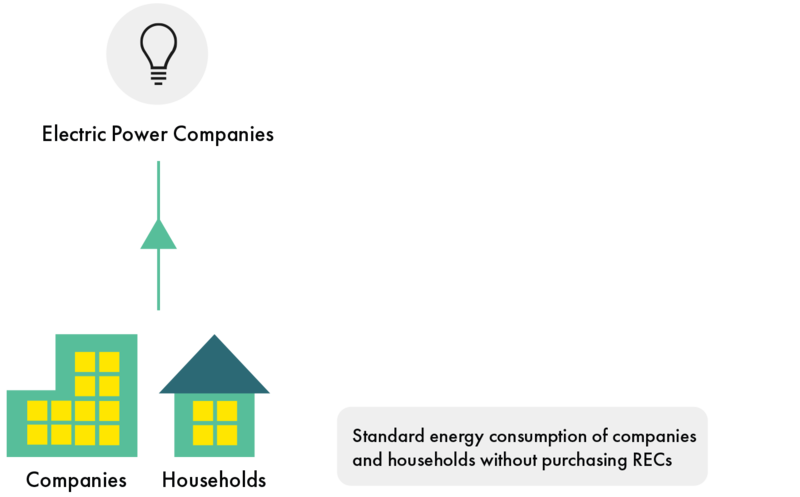 By purchasing RECs, buyers would be able to prove that the electricity that they consumed in the past, or the electricity that they are going to consume in the future, is actually renewable energy. 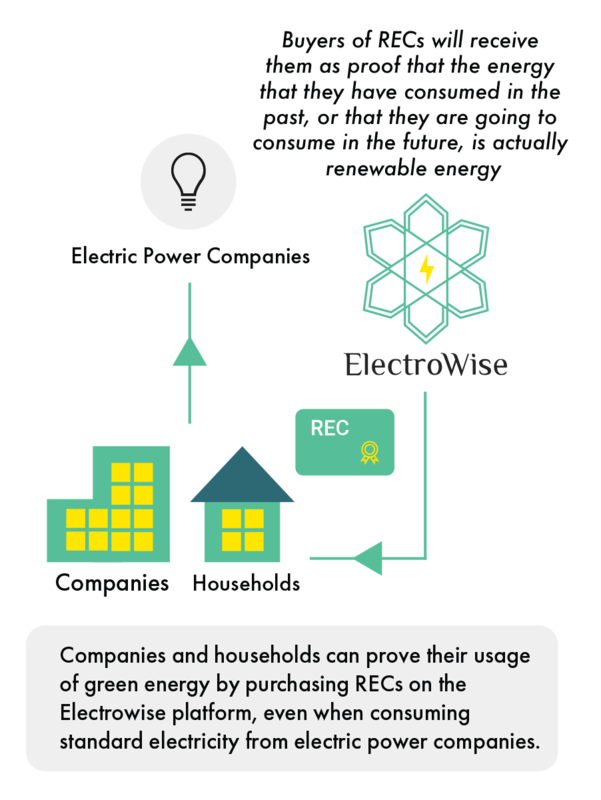 Companies which belong to RE100, or companies which are promoting renewable energy, are expected to be able to use RECs for PR purposes by purchasing them on the Electrowise platform. Restructuring of value chains can be achieved through tokenizing assets on the blockchain. Buyers and sellers can make deals on the Electrowise platform, and the transaction results will be securely recorded on blockchain.  Moreover, the transaction information is recorded in the distributed network, which contributes towards cost reduction. Robustness, one of the key characteristics of the blockchain, will play an important role in the development of social infrastructure in industries such as the energy industry. Blockchain enables multiple parties, such as electric power companies and regulatory authorities to jointly own the infrastructure and exchange data among each other. We have been conducting proof of concept tests and pilot projects in Japan and southeast Asia that are targeted at implementation in smart cities. In countries such as Japan which often suffer from natural disasters, building robust infrastructure to protect against blackouts is a crucial and urgent issue. We are continuously conducting research and development to provide solutions in the energy industry, while working on hardware solutions in conjunction with our partners. Electrowise aims to redefine the energy industry, and continue to provide Blockchain based solutions in this field. Contact us for more details of Electrowise!  For a demonstration of Electrowise, or any inquiries concerning PoC tests or pilot projects, please contact us.